When financing an automobile, a major problem involves depreciation. Your new ride can lose up to 10% of its value the minute you drive it off the lot. Chances are you financed your car based upon its selling price, meaning you are already upside down on your loan. And that does not even account for the amount of interest that will be added over the life of it. From there, the problem only becomes worse. Your car continues to depreciate in value each year, (although not as quickly as in the beginning), and there is seemingly no way to recover. The problem is universal as many financial experts agree that the average consumer owes way more on his or her loan than what the vehicle is worth. Another factor that contributes to people becoming upside down on their loan involves rolling in fees such as the sales tax or licensing and registration fees. Not only are these fees non-recoverable, but you will also have to pay interest on any amount you borrow as well. What happens if you are involved in an accident and total your automobile? Since the insurance will only pay you the value of your vehicle (minus any deductibles), you could wind up owing thousands of dollars even after everything is settled. That’s where gap insurance comes in, paying you the difference so you do not have to struggle with unpaid balances. When is Gap Insurance not Needed? How Do I Purchase Gap Insurance? When Should I ask for a Refund? Is Gap Insurance Worth it or Not? Gap insurance provides the “gap” between what an insurance company pays out after a total loss and the amount of money remaining on your car note. As such, it has no established value because the “gap” amount will fluctuate as your loan progresses. For example, you may be further upside down during the early stages of your loan because your car depreciates more in the beginning. As time goes on, your vehicle will depreciate at a slower rate, and you have also paid greater chunks of interest. Therefore, the gap amount will be lower if you are near the end of your loan. Either way, a gap insurance policy can provide you with peace of mind should you be involved in an automobile accident. It can also eliminate the possibility that you will be stuck paying thousands of dollars on a loan and still wind up with no vehicle. Should that happen, you may have a very hard time buying another one to replace it. You could even need to file bankruptcy, which is something that could negatively affect your credit score for years to come. Gap insurance can provide additional protection in the event of a loss. Even so, not everyone needs a gap policy. If you financed for only a very short period or placed a significant down payment on your auto, the gap amount may be very small anyway. In those instances, buying gap insurance may not make sense. If you put more than the national average of 15,000 miles per year on your auto. An excessive amount of miles on your car will cause it to depreciate faster than normal, thereby increasing the gap amount. When rolling another auto loan into a new one. If you have rolled over a balance, you are already further upside down than the average consumer and will therefore require the additional protection. After signing with a lender whose terms and conditions require a policy. Many borrowers default on their loans after experiencing a total loss that leaves them with an unpaid balance. Accordingly, many financial institutions wish to protect themselves by requiring applicants to take out gap insurance. If you are purchasing a vehicle with a higher-than-average rate of depreciation. The same is true if your automobile is among those most often stolen. When multiple people in the same household share a single vehicle. In that case, the livelihoods of more than one individual could be in jeopardy if your family was left without an automobile. While signing a vehicle lease, the issue of gap insurance may come up. Most leasing contracts will require such as policy. On occasions when the car’s value is far less than the loan amount, including interest. Maybe you are buying an automobile from a friend or relative and they gave you a sweet deal. In that instance, you would not need gap insurance. When the loan is only for a very short period such as less than one year. The odds that your vehicle will be totaled are much less when the term is only for a little while. Having enough in savings to cover any remaining balance if your car is a total loss, or owning assets that could easily be liquidated to account for the loss. If you would be able to continue making payments as usual and doing so would not hamper your ability to purchase another automobile, you likely do not need gap insurance. When you have a second vehicle you could rely on or could otherwise do without an automobile, you may want to think twice about purchasing a gap policy. It may be easier to do without a car for a little while rather than shelling out the money for a gap insurance policy. When deciding whether or not you need gap insurance, take your financial situation into account. Would you be comfortable paying off the remaining balance if your vehicle was totaled? Would you be okay if that same thing happened two or three years from now? Unless you can comfortably answer “yes” to those questions, consider protecting yourself by taking out a gap insurance policy. Think about what will happen if you were suddenly faced with the prospect of paying off your loan. Most insurance coverages are simply insufficient, and could leave you owning thousands of dollars out of your own pocket. If you are willing to take on that risk, you should carefully consider a gap insurance policy. Gap insurance is designed to protect you in the event your vehicle becomes a total loss. This can be through an automobile accident or in cases of theft when the car is not recovered. You cannot use gap insurance to cover minor accidents or to offset the cost of any deductibles. This insurance does not cover mechanical failures that would cause you to scrap your auto. For example, major engine or transmission repairs can sometimes exceed the fair market value of an automobile. 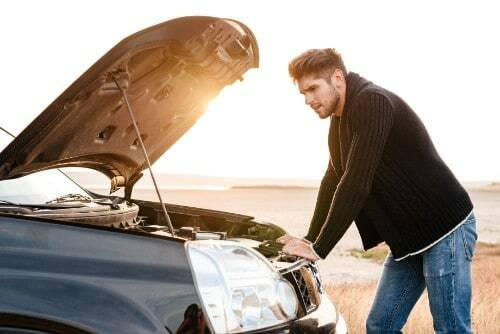 To avoid a large mechanic’s bill, always perform maintenance on time and consider taking out an extended warranty to cover unexpected repairs. A gap policy also will not pay off your loan in the event of your death. An exception would be if you perish in an automobile accident that also resulted in your car being a total loss. Gap payments are made regardless of whether or not you are at fault in a collision. This is good news, because you do not have to worry about proving your case one way or another. The primary factor in determining cost is the price of your vehicle. You’ll pay more for gap coverage if you are purchasing a $30,000 dollar automobile than you would when buying one for $15,000. That’s because the amount of negative equity will only increase with your loan amount. Gap policies are not based on age, gender, or driving record. This means you do not have to worry about previous tickets or accidents that might negatively affect other forms of insurance. You will also not pay more just because you are in an “at risk” category for having an automobile accident. Your decision to purchase gap insurance will have no bearing on your regular insurance policy. As such, you will not notice any change in your normal rates as a result. The only additional expense will be for the gap insurance itself should you choose to have the cost added onto your existing policy. So you have weighed all your options and have decided that gap insurance is right for you. How do you go about taking out a policy? There are several methods, but buying from an insurance agent is typically the best choice. The car dealership may offer you a gap insurance policy as part of closing the sale. Keep in mind that this is just another product dealerships use to turn a profit. Car dealers often charge three or four times the amount you would pay when buying gap insurance from an agent. Many people are in a hurry to sign their paperwork and will not take the time to compare rates. To ensure you do not succumb to pressure, ask for a quote from your agent beforehand. When armed with this knowledge, you are in a better position to negotiate with (or walk away from) a sales manager. What’s more, by going through an agent you can typically add the fee to your regular policy. This helps you avoid having to roll the cost of the gap insurance policy into your loan. Loan companies may sometimes offer gap insurance as well. In doing so, their primary focus is on protecting their own interests. Gap policies written by lending institutions may have hidden clauses that would limit the amount of your payout, so be sure to read the fine print very carefully. After paying off the loan early. For example, if the loan term was five years and you pay the note off in four, you would be entitled to 1/5 of the original amount. When you sell or trade your vehicle before paying it off. You no longer need gap insurance on a vehicle you no longer own, and most policies are non-transferrable. Market conditions cause the value of used cars to skyrocket. This can happen if used cars suddenly become a commodity as was the case during the “cash for clunkers” program a few years back. What happens if you refinance your vehicle before the note expires? If you initially rolled in the cost of gap insurance, you should ask for a refund. Your gap policy would no longer be effective since it was tied to the original car loan. You would then need a new policy to ensure continuous coverage. Your new coverage should be far less because your vehicle’s fair market value has now decreased. Is a gap policy the best option under every circumstance? No, but there are times when buying a gap insurance policy makes perfect sense. Other times, this type of insurance might be an unnecessary expense that you would be better off doing without. Compare rates carefully and read all the terms thoroughly before signing and gap coverage can provide you with tremendous peace of mind.